Zomato, restaurant search and delivery app has now with Zomato Order has entered its last-mile delivery business by enabling restaurants from every corner of India to deliver food at the customer’s home. Due to shortage of manpower not every restaurant can provide home delivery services. Considering this, Deepinder Goya, the Founder & CEO of Zomato said that they have now joined hands with Grab, Pickingo and Delhivery to get on board all the restaurants who do not provide home delivery services. He further says that customers can now order food from five star restaurants too, which was outside the confines of home delivery. Zomato already has few five star restaurants on board and plans to add around 500 restaurants every week. 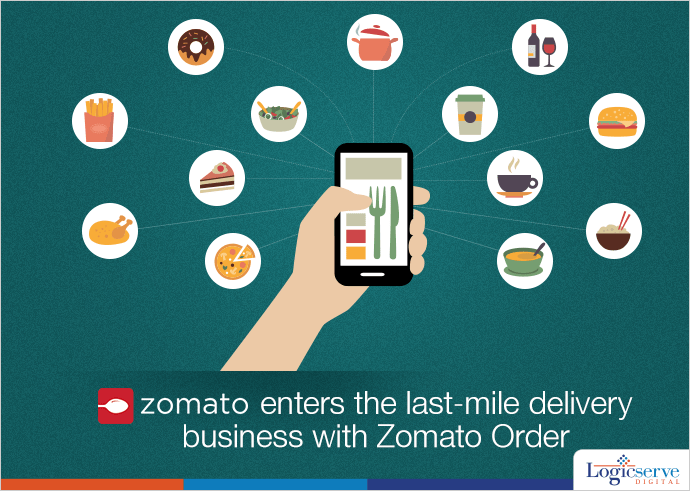 Zomato further promises to see to it that the price of the food ordered remains the same. The services will be initially available in 5 cities – Mumbai, Delhi, Hyderabad, Pune and Bangalore. Goyal says that at present only 40% restaurants are able to deliver food at home and Zomato wishes to take the percentage up to 90%. Nice. Demand for last mile deliveries of food is growing day by day, which are giving a boost to delivery providers to change their strategies.